Is conscious love the new monogamy? Are couples committed to each other or the institution? They take practice, communication, patience, and commitment, just to name a few. I’ve found myself at the age when all of the sudden, friends and siblings are getting married, having kids, and buying houses (all beautiful things, don’t get me wrong!). And witnessing these experiences all around me, I’ve begun to question my own. You see, I’ve been with my partner for over five years, and I can feel society’s expectations creeping in on us. It’s like we have something to prove to the world to assure people that we are committed, we are happy, we are in love. Little did I know how much of a gift this tension would prove to be for our growth. It’s forced us to have some really open and honest conversations about our future that may not have happened otherwise. Instead of being committed to fulfilling society’s ideals—or committed to “monogamy”—we want to be committed to each other and to our growth. There’s a big difference! So we’ve found ourselves asking our hearts what that really means. What does that look like for us? What do we yearn for when the fears of judgment are taken away? The truth is, the way humans relate in our current day and age is completely different than the way we related a mere 50 to 80 years ago. Marriage used to be an economic institution; people were a part of marriages (sometimes arranged) in order to gather assets. We wanted security, children, family, property, and social respectability. It’s a fairly new concept that we marry for love. We now actively choose our partners—and expect them to fulfill us in all ways. As Esther Perel says, “Contained within the small circle of the wedding band are vastly contradictory ideals. We want our chosen one to offer stability, safety, predictability, and dependability. And we want that very same person to supply awe, mystery, adventure, and risk. We expect comfort and edge, familiarity and novelty, continuity and surprise.” We now ask one person to fulfill us in the same way that a whole community used to—a pretty problematic ask, as seen in the 50 percent divorce rate of the United States (and 65 percent in subsequent marriages). I find myself asking, is marriage necessary anymore? Is it causing people more harm than good? Luckily, conscious love is on the up and up. But what is conscious love exactly, and how does it differ from traditional monogamy? In short, monogamy tends to emphasize commitment to the institution. In contrast, conscious love is about commitment to the people and love within the institution (or not). Conscious love is not attached so much to the outcome of the relationship as it is the growth that is happening within it. The conscious couple strives for expansion—even at the risk of out-growing the relationship. Fueling this growth is radical honesty: an ability to have open and vulnerable conversations about wants, needs, and desires without fear, shame, or guilt. Instead of hindering ourselves to please the people we love, can we be honest in sharing our truths. Can we come from a place of abundance instead of fear of scarcity? The conscious couple understands that love is rooted in truth, compassion, and freedom. Love cannot flourish under an institution of rules, shame, guilt, or fear. I’m not sure what the future holds for how we humans relate (or rather, the institutions we use to label and legitimize our relationships), but I do know that I don’t feel frustrated by this uncertainty. Instead, I feel excited. I think we are starting to wake up to the reality that the old ways may no longer be working for us. 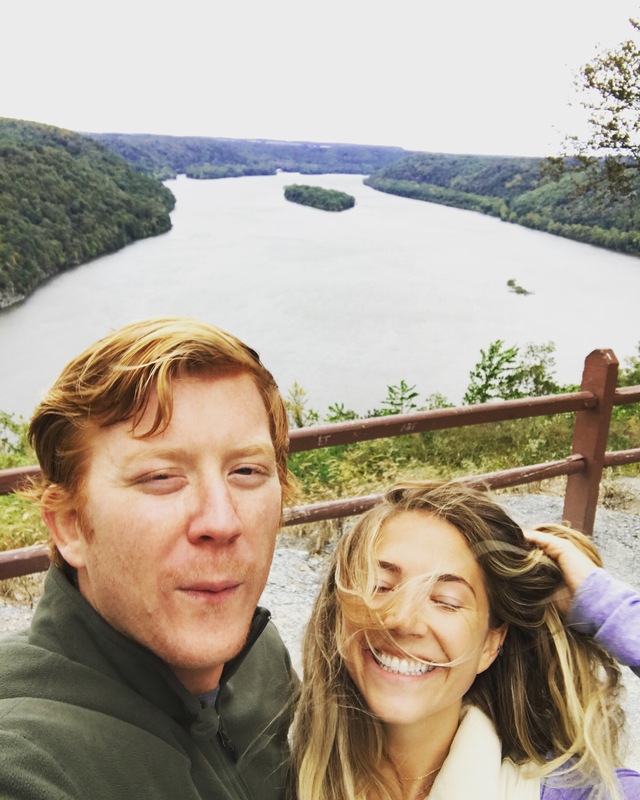 I think we are instead tuning into our deepest truths, expressing our desires, and owning our sh*t.
Ashley Adamek is a writer, poet, bare-foot walking, plant-eating, love-making machine currently living in Wayne, Pennsylvania. She runs a yoga studio, eats books for breakfast, and is almost always questioning everything. She speaks Dutch, surfs small swells, travels the world, and believes that meditation will save us all. She makes a living off getting people out of their heads and into their bodies—asking them the right questions, allowing them space to take off the mask of who they think they should be and instead step into who they authentically are. Ashley’s life’s work is to give others permission to go deeper, be vulnerable, remember themselves, and above all, have fun. You can connect with her best on her blog or Instagram.